The time many marketers have been waiting for has finally arrived: Pinterest has launched its first official paid marketing opportunity. On September 19th, Pinterest announced it would soon be launching paid advertising with several businesses on the site. On October 9th, Pinterest announced this advertising was live. What is the Paid Marketing Opportunity on Pinterest? The paid marketing on Pinterest is called “Promoted Pins.” These pins are exactly like traditional pins on Pinterest, except for a few differences. First off, the pins will have text underneath them that clearly state “Promoted Pin”, allowing consumers to know this pin has been served to them as a sponsored result. 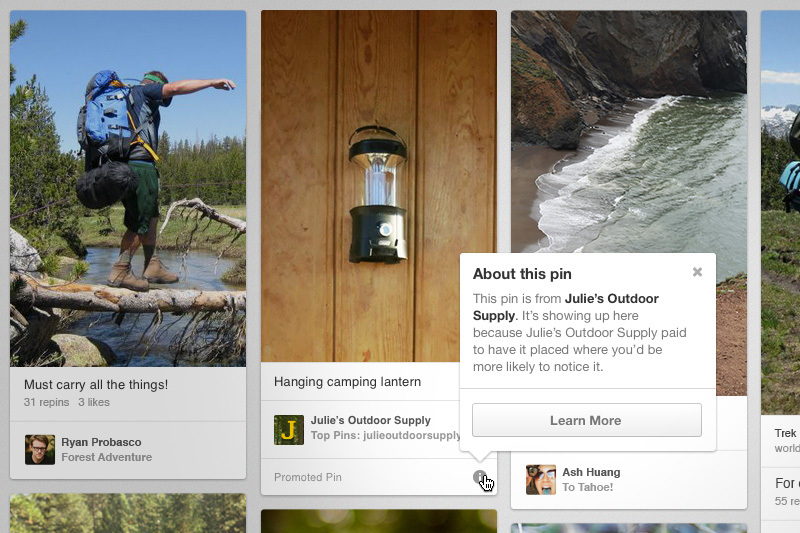 Secondly, Promoted Pins will have high visibility on Pinterest. They’ll appear at the top of search results and category feeds (such as under “gifts” or “design”). Finally, these pins will likely be targeted to users based on their registration data and interests, increasing the relevancy of these pins to the user. What will Promoted Pins on Pinterest do for Businesses? The benefit of Promoted Pins on Pinterest is simple. They’ll increase the visibility that businesses have on the site. In turn, this will enhance brand visibility, raise pin engagement with users, and increase the followers of a Pinterest board.